Volker Markl is a Full Professor and Chair of the Database Systems and Information Management (DIMA) Group at the Technische Universität Berlin (TU Berlin). At the German Research Center for Artificial Intelligence (DFKI), he is Chief Scientist and Head of the Intelligent Analytics for Massive Data Research Group. 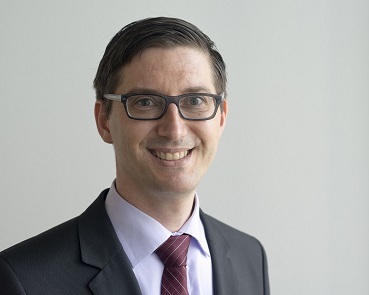 In addition, he is Director of the Berlin Big Data Center (BBDC), a collaborative research center bringing together research groups in the fields of distributed systems, scalable data processing, text mining, computer networks, machine learning, and applications in healthcare, logistics, Industry 4.0, and information marketplaces. Furthermore, he is co-director of the newly established Berlin Center for Machine Learning (BZML, the Berliner Zentrum für Maschinelles Lernen in German). This new initiative will further bolster ongoing collaborative research in scalable data management and machine learning. Earlier in his career, he was a Research Staff Member and Project Leader at the IBM Almaden Research Center in San Jose, California, USA and a Research Group Leader at FORWISS, the Bavarian Research Center for Knowledge-based Systems located in Munich, Germany. To date, he has garnered many prestigious awards, including a European Information Society and Technologies (IST) Prize, an IBM Outstanding Technological Achievement Award, several Hewlett Packard Open-Innovation Awards, an IBM Pat Goldberg Memorial Best Paper Award, an IBM Faculty Award, as well as a VLDB Best Paper Award, an ACM SIGMOD Research Highlight Award, and an EDBT Best Demonstration Award. In 2014, he was elected as one of Germany's leading "Digital Minds" (Digitale Köpfe) by the German Informatics (GI) Society. In 2018, he was elected President of the VLDB Endowment and he became a member of the Alexander von Humboldt Institute for Internet and Society's (HIIG) Academic Advisory Council. Volker has authored and published more than 195 research papers at world-class scientific venues. He has offered over 240 presentations in numerous industrial settings, research institutions and major conferences worldwide, including keynote speeches at premier scientific venues, such as VLDB, ICDE, and DEBS. Furthermore, he regularly serves as Chair to varying program committees and is a Member of major international database conferences. In the early 2010s, he became a member of the Natural Science and Engineering Research Council of Canada (NSERC) and served on several NSERC Computer Science Evaluation Groups. Volker has a strong history in innovation and technology transfer to companies. He is co-author of twenty-one patents. For innovation in IST, he was awarded a European IST Prize by Euro-CASE and sponsored by the European Commission for the transfer of the UB-Tree multidimensional indexing technology to Transaction Software, a German SME company. For creating information marketplaces, he earned the Trusted Cloud Award from BMWi, the German Federal Ministry for Economics and Technology. Furthermore, many of his technological ideas were transferred into IBM commercial products, during his tenure at the IBM Almaden Research Center. For supporting entrepreneurially-minded student teams and helping them to acquire seed funding, he was awarded an Innovation Supporter Award by TU Berlin. He has been both the Speaker and Principal Investigator for the Stratosphere Project, which resulted in a Humboldt Innovation Award as well as Apache Flink, the open-source big data analytics system. With a community of more than 23,000 members and over 450 code contributors, Flink is recognized as a highly flexible, scalable, and extensible stream processing framework with several interfaces for describing continuous data streams and novel methods for fault tolerance. Volker has been co-founder, advisor, and mentor to several startups, including dataArtisans, Parstream, and Aklamio. In addition, Volker advises and collaborates with several IT companies, including IBM, SAP, Microsoft, Deutsche Telekom, HP, Oracle, Amazon, Huawei, Zalando, as well as many SMEs. His current research interests include novel hardware architectures for information management, scalable processing and optimization of declarative data analysis programs, data infrastructures, end-to-end machine learning, information marketplaces, technological enablers for responsible data management, and scalable data science, including graph mining, text mining, and machine learning.